Given the artist's life-long focus and concern with the role of art in the 20th Century, the Paul Dickerson Studio Art Museum will illustrate and demonstrate the exploration of the creative process from conceptual origin to the way the works themselves exemplify the larger meanings and insights of art itself. Please add $3.00 Postage and Handling for each item purchased. "Paul Dickerson", American Fine Arts, Co. NYC 1998. 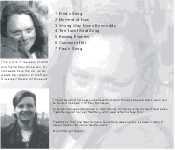 This CD is in memory of artist and friend Paul Dickerson. All proceeds from this CD go to the Paul Dickerson Studio Art Museum. This CD would not have been possible without Jason Murray's time and talent. Jason can be found at his studio in St. Paul, Minnesota. All songs produced and arranged by Jason Murray. 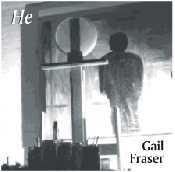 All songs written by Gail Fraser except: Fred's Song and The Toilet Seat Song which were written by Mike Burry. Fred's Song, The Toilet Seat Song and Paul's Song were originally recorded in Arthur B. Capelin Studio in St. John's, Newfoundland.